We at Revive Hair and Skin Clinic will professionally guide you in maintaining healthy looking skin and also treat any skin concerns. 90% of damage to our skin is due to external factors such as sunlight, pollution, smoking etc. By creating a customised at-home regimen with powerful in clinic treatments and targeted skincare solutions, the result is healthier looking skin with an improvement in the appearance of fine lines, wrinkles, and other signs of premature ageing like pigmentation spots. The chemical peels we offer are the Skinceuticals Chemical Peels which can be used by all skin types including ethnic skin and acne prone skin. These are advanced AHA Peels which help reduce signs of photoaging including fine lines, wrinkles, dullness and visible skin imperfections. Gycolic Acid is the most common and the safest form of AHA (alpha hydroxy acid), which removes the outer layer of skin cells bringing fresh skin to the surface. It’s also used to help skin discoloration and pigmentation. The micropeel efficiently exfoliates dead skin cells whilst helping to refine skin texture and smooth fine lines and wrinkles. The pigment balancing peel is a unique stronger chemical peel treatment which dramatically improves the uneven appearance of photodamaged skin, whilst helping to improve skin firmness and radiance. The Pigment Balancing Peel contains a mixture of a pigment balancing solution containing 40% Glycolic acid and, a 27% Vitamin C masque that, when combined, become a peel which is specifically designed to brighten pigmented skin. This is a customised medical-only treatment, targeting uneven skin tone. It dramatically improves the uneven appearance of photodamaged and mottled skin after a series of 4-6 treatments. This Peel combines high-performance brightening and anti-inflammatory agents with a peeling acid solution to accelerate cell renewal and diminish uneven skin tone. To maintain and enhance results it is recommended to use SkinCeuticals Advanced Pigment Corrector daily between and after a course of 6 treatments. This peel is recommended for Melasma, photodamaged skin, freckles and age spots, diffuse and localised uneven skin tone. A chemical peel is a skin treatment which is used to improve and smooth out the surface of the facial skin. A chemical solution is used to remove top layers of skin, which allows the dead surface skin to peel off. The peeling process leads to new skin growth which is usually smoother, healthier and less wrinkled compared to the old skin. The peel also speeds up your natural skin’s healing process by stimulating the production of collagen and improving elastin fibres which give skin it’s youthful form and shape. There are three different types of peel: superficial, medium and deep peels. These are categorised by the strength of the acid solution used in the peel and how deeply they penetrate the skin. Deeper peels penetrate the skin further and require greater recovery time. 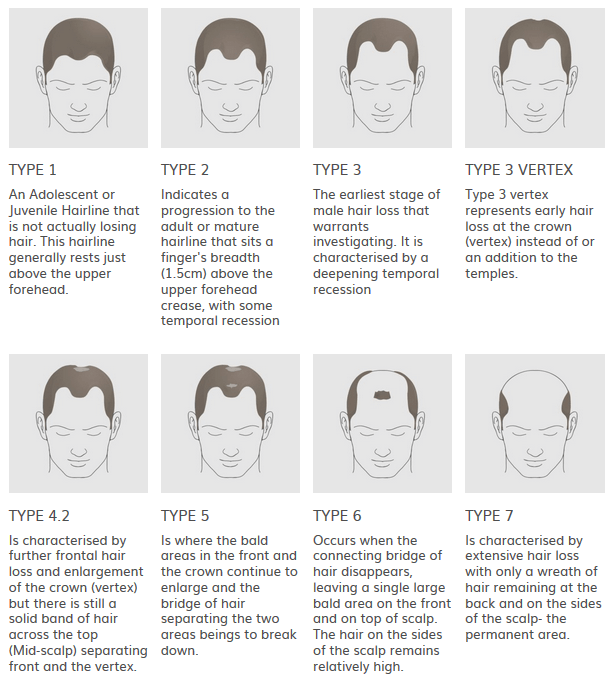 At Revive Hair and Skin Clinic, we only perform superficial peels, as these have minimum side effects and recovery time. What are the different Superficial Chemical Peels offered? 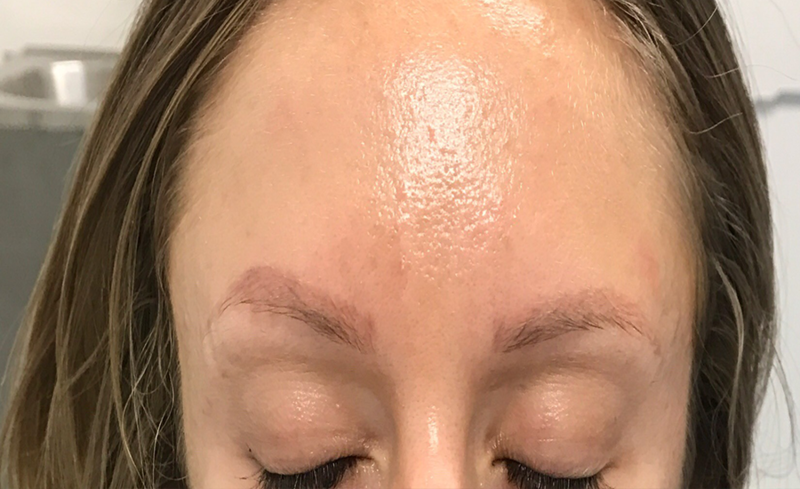 Superficial peels are a good option for many people as they have a gentler effect, require no pain relief, and can be used in more skin types, including darker skin tones, with little or no recovery time. Medium and deep chemical peels cannot be used in darker skin types and it may also take a few weeks for the skin to recover from the effects of the peeling, inflammation and redness. We use three types of peel, the Skinceuticals Gel Peel, recommended for all skin types; the Skinceuiticals Micropeel, containing either 20% or 30% gycolic acid, which is great for reducing the appearance of fine lines, wrinkles, age spots and dull skin. Finally we offer the stronger Skinceuticals Pigment Balancing Peel for treatment of pigmented skin and uneven skin tone. • Acne– chemical peels exfoliate the skin, allowing dead skin cells to be removed more effectively, excess oils on the skin are also removed. This action unblocks hair follicles and pores and improves skin texture. • Reduce fine lines and wrinkles- especially under the eyes and around the mouth in sun damaged or ageing skin. • Rough skin Texture- chemical peels can improve rough skin texture by increasing the amount of collagen in the upper layer of the skin. • Lentigines (large freckles) which appear as dark spots on the skin, they are also called liver spots, or age spots- Large freckles can develop as a result of sun exposure and are present on sites which are exposed to excess sun such as face and arms and neck. A course of chemical peels can lighten large freckles and improve the appearance of sun damaged skin. • Melasma- is a dark skin discoloration which appears as patches commonly found on the cheeks, nose, lips, upper lip, and forehead. It is common in women who are taking hormonal treatment in the form of contraceptives or Hormone Replacement Therapy (HRT) and pregnant women. A course of chemical peels can lighten the appearance of dark discoloured skin caused by melasma. • Hyperpigmentation- caused by excess skin pigment in the skin which can result in uneven skin tone. Chemical peels can lighten and even out the tone and appearance of the skin. The skinceuticals pigment balancing masque and peel maybe more effective for hyperpigmentation and uneven skin tone. Superficial peels are suitable for ethnic skins. When can Superficial Chemical Peels Not be used? • Superficial peels cannot eradicate deep lines and wrinkles, cure sagging skin due to sun damage or ageing. • If you have active cold sores or warts on the face. • Sunburn-you need to wait 4 weeks after excessive sun exposure before having a peel. • If you have excessively sensitive skin, including atopic eczema or dermatitis, inflammatory rosacea in the area to be treated. • If you have a history of severe allergy or known allergy to the components of the peel including allergy to aspirin. • If you have a history of keloid scarring. Whilst you may see some minor benefits after a single superficial peel, we recommend a course of six peels, one or two weeks apart. This will give the best results, as the full benefits of the peels build up over a course of six treatments. After a course of six peels you can have a once monthly maintenance peel or wait for three months before embarking on another course of peels. We advise you to book a pre peel consultation two weeks before your peel where an aesthetic professional will assess your skin and discuss your expectations of the treatment. They will explain the treatment. A patch test will be performed. A patch test is to check that you are not allergic to the peel. Allergy to peels is quite rare. You will be recommended to prepare the skin with three products for two weeks before the peel and to continue during and after the peel course. The three products are Retexturing Activator or Advanced Pigment Corrector, an Antioxidant and a Sunscreen. These products will improve the results of the peel and are especially important for those going on a course of peels. What are the Chemical Peel Aftercare? 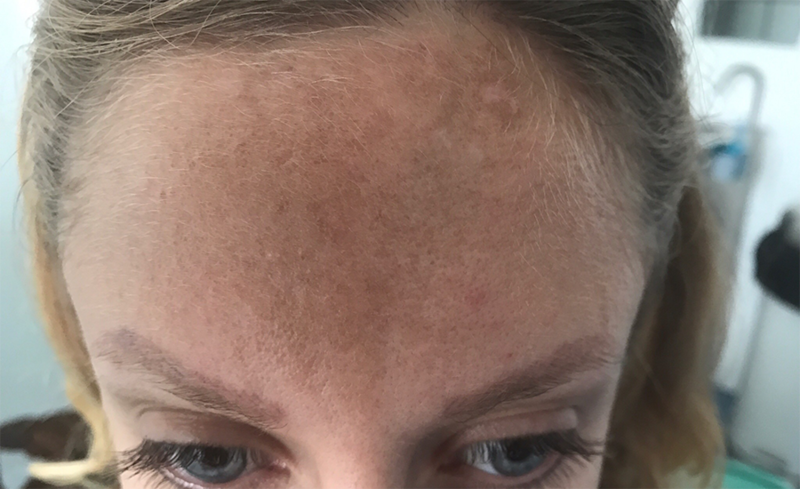 4 Patients with hypersensitivity to the sun should take extra precautions to guard against exposure immediately following the procedure, as they may be more sensitive following the peel. 5. When washing your face do not scrub, use a gentle cleanser for sensitive skin. 7. Do not have any other facial treatment for at least one week after the peel.